Failing to maintain a schedule – This mistake can be a costly one for companies. It can not only affect a business financially but it can also affect how a business is viewed by its customers. 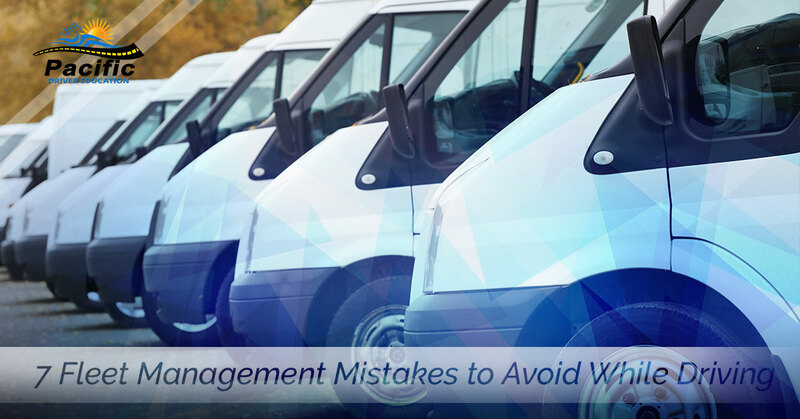 The best advice is to quickly discover why your fleet cannot meet its schedule and to attempt to correct this flaw without attempting to rationalize delays. Failing to adequately train drivers – The investment that companies make in training their crews will, in the long term, benefit those businesses tenfold. The benefits of a well trained fleet include potential savings in fuel costs, reduced accidents and lower employee turnover. Mismanaging fleet metrics – It is important for fleet managers to always have available metrics involving fuel consumption, safety, maintenance, fleet location, etc. Not having this information readily accessible when needed demonstrates poor management and administrative abilities. Ineffective communications – Fleet managers should always be certain that the lines of communications are open between themselves and their drivers. Failing to implement proactive safety measures – No company should base its policies merely on how to react after the worst has occurred. The way fleet managers can mitigate the effect of accidents and hopefully help to prevent them, is to implement proactive safety training such as the training provided by Pacific Driver Education. Our instructors are certified by the DMV and ODOT Transportation Safety Division. Failing to incentivize – Drivers should be rewarded in some tangible way for safe driving practices. Not adapting to change and innovation – There are many technologies out there that help improve fleet efficiency and that give businesses the edge over the competition. A good fleet manager always keeps apprised of these changes in polices and technologies. Yes, the skill set required to be an effective fleet manager is very particular. Every fleet manager should attempt to make his team the most efficient, his position the most irreplaceable and his route the safest it can be.